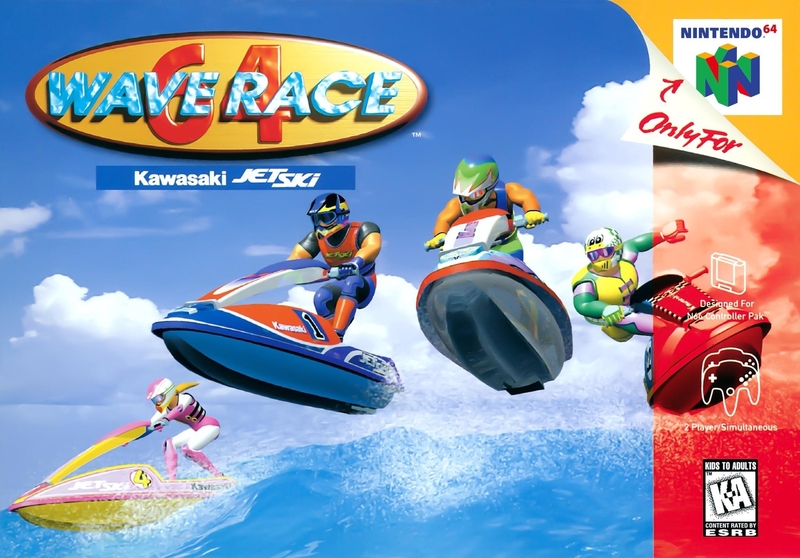 Краткое описание: Wave Race 64 is sure to provide some of the most exciting racing you've ever experienced. 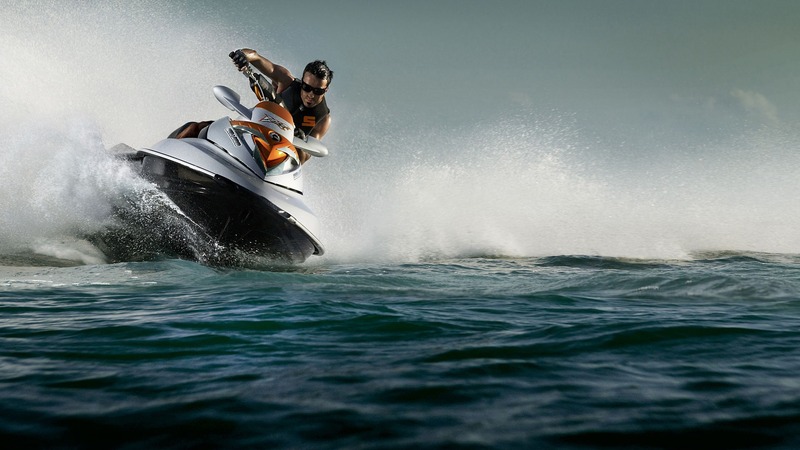 Feel the pounding and crashing of the waves as you accelerate into straight-aways, whip around the marker buoys and go airborne on the jump ramps. Don't race alone - challenge a friend! Take control in three different modes of play - Championship, Time Trials and Stunt Mode. Nine challenging courses set in exotic locales - race conditions change and the wave action responds to the way both you and your opponents race! 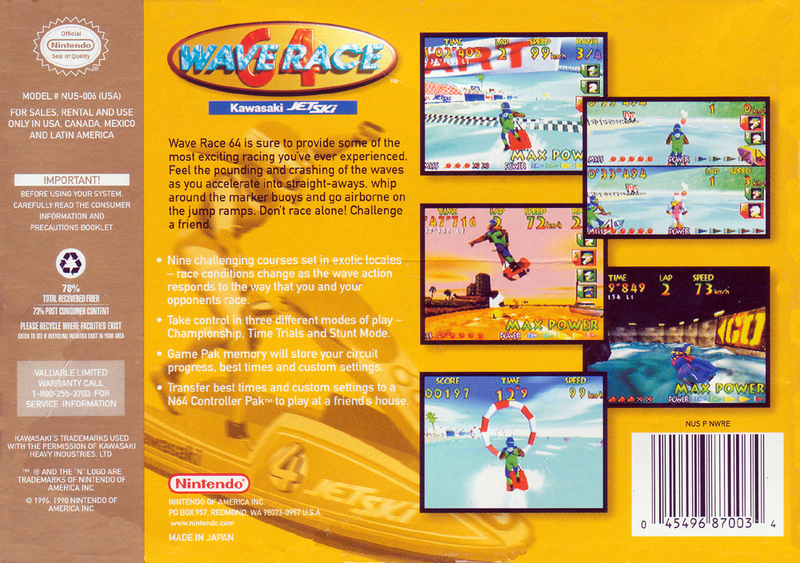 Wave Race 64 is sure to provide some of the most exciting racing you've ever experienced. Feel the pounding and crashing of the waves as you accelerate into straight-aways, whip around the marker buoys and go airborne on the jump ramps. Don't race alone - challenge a friend! Take control in three different modes of play - Championship, Time Trials and Stunt Mode. Nine challenging courses set in exotic locales - race conditions change and the wave action responds to the way both you and your opponents race!